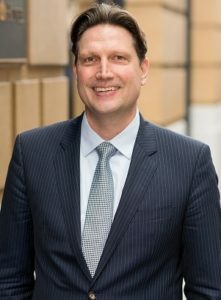 Kalmar, part of Cargotec, has announced today the appointment of Guenter Schmidmeir as Senior Vice President, Global Terminal Operators, with effect from 1 November 2017. Guenter Schmidmeir will be part of Kalmar’s Leadership Team, reporting to Antti Kaunonen, President, Kalmar Business Area. He will lead strategic account management to further strengthen and deepen relationships with the global terminal operators and large regional operators, offering the customers the whole range of Kalmar’s family of service, software and equipment consisting of Kalmar, Navis, Bromma and XVELA brands. Guenter joins Kalmar Head Office from Navis, where he has been leading the Europe, Middle-East and Africa (EMEA) region since 2008 as Vice President and General Manager, EMEA. He has 20 years of experience in the port and terminals industry, most of which he has gained at Navis in various positions stationed in London, Antwerp, Dubai, Hamburg and Oakland. “The importance and market share of the Global Terminal Operators is growing. As the leading supplier in the terminal industry we want to have a more holistic and systematic approach to global customers. Guenter’s extensive experience in building strong customer relations and his in-depth knowledge of our industry will bring us greater focus on our customers’ needs,” says Antti Kaunonen. “I am very excited to take on this new position within Kalmar Business Area. We see huge potential to grow our business by putting greater emphasis on customer relations and highlighting our complete offering to the global terminal operators. I am confident that they will benefit from leveraging our full offering including service, software and equipment,” says Guenter Schmidmeir. The new VP is in for hard work. The recently published January-September 2017 Cargotec’s interim report shows a 6% drop in sales of Kalmar business unit (EUR 1,144 mln as compared to EUR 1,223 mln in January-September 2016), which was explained by poor timing of the deliveries in Kalmar projects and mobile equipment. The orders received did not reach the company’s expectations either: EUR 1,185 mln, -8% against the same period in 2016.